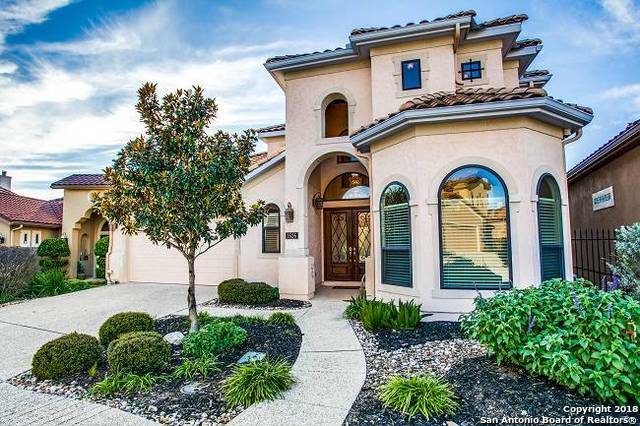 All GARDENS AT GREYSTONE homes currently listed for sale in San Antonio as of 04/25/2019 are shown below. You can change the search criteria at any time by pressing the 'Change Search' button below. "This beautiful Mediterranean-style home has so many desirable features. The beautiful foyer is illuminated by a breathtaking chandelier. The bright and open floorplan boasts high ceilings, a gorgeous gas-burning fireplace, and separate dining room. The kitchen is a chef's dream with an oversized island and Wolf appliances that includes an induction cooktop. Walnut wood and Italian marble flooring, a steam room, large master bedroom with an en-suite bath, and a pool that backs up to a greenbelt."